The midi skirt is not exactly a new trend, we know, but nonetheless a star piece every gal should have in her wardrobe. The midi skirt is one of those hero pieces that epitomise class and elegance and is actually extremely versatile. 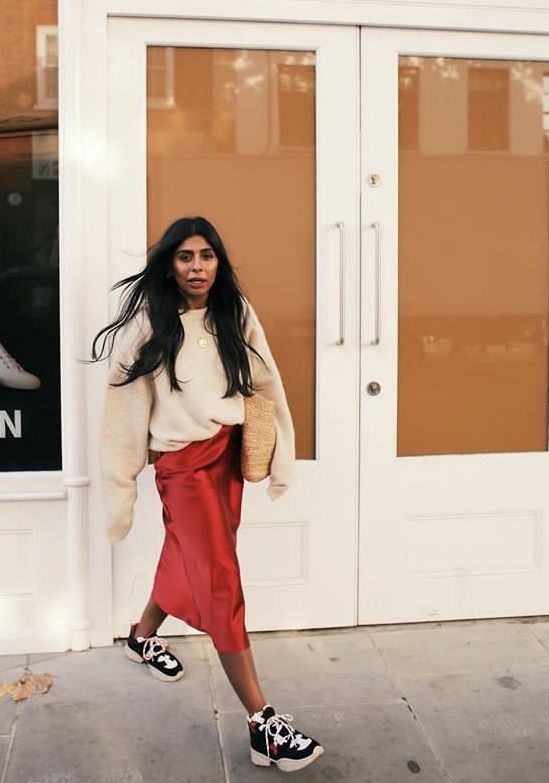 We’re currently loving the look of a chunky knit jumper paired with a pleated midi and trainers. You can of course also play on the girly vibe and style it with a pretty blouse and simple heels. We’ve put together a chic little edit of the midi skirts we’re swooning over right now. From the so-hot-right-now satin slip skirts to whimsical pleats and edgy button down skirts, you’re pretty much guaranteed to find the perfect one.